ATLANTIC OCEAN (Feb. 25, 2008) The guided-missile destroyer USS Bulkeley (DDG 84) crosses the Atlantic Ocean during a scheduled deployment as part of the Nassau Expeditionary Strike Group supporting maritime security operations and theater security cooperation efforts in the U.S. 5th and 6th Fleet areas of responsibility. ATLANTIC OCEAN (March 4, 2008) The guided-missile destroyer USS Ross (DDG-71) prepares to refuel with the Military Sealift Command fleet replenishment oiler USNS John Lenthall (T-AO 189). 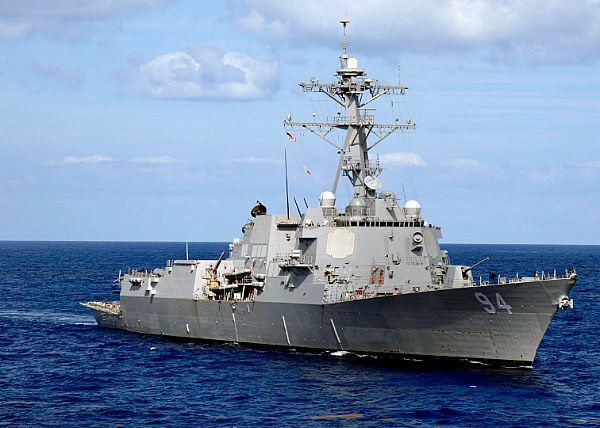 Ross is deployed to the U.S. 6th Fleet area of responsibility as part of the Nassau Strike Group. PACIFIC OCEAN (March 12, 2008) The guided-missile destroyer USS Higgins (DDG 76) sails alongside the nuclear-powered aircraft carrier USS Nimitz (CVN 68 ) during a replenishment-at-sea. 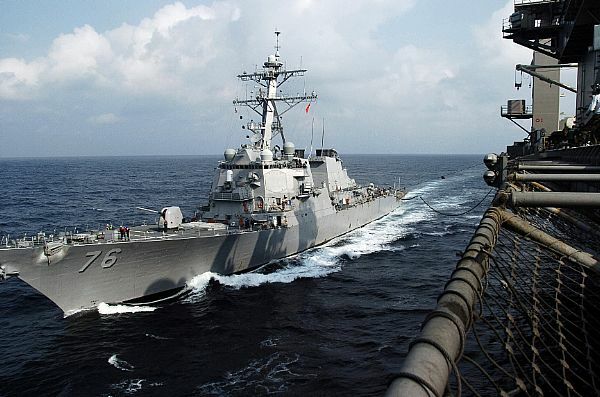 Higgins is deployed with the Nimitz Carrier Strike Group (CSG) operating in the U.S. 7th Fleet area of responsibility. 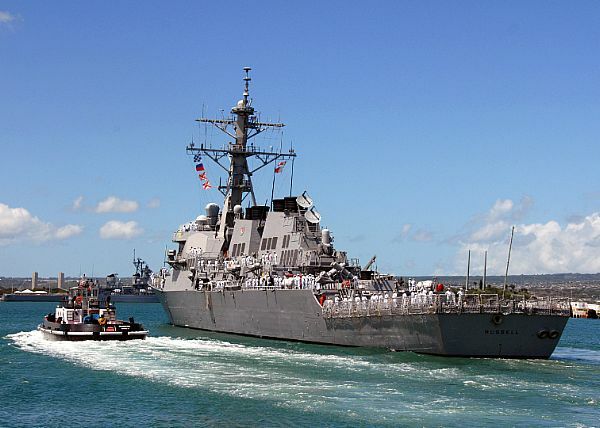 PEARL HARBOR, Hawaii (March 24, 2008) The guided missile destroyer USS Russell (DDG 59) departs to join the USS Abraham Lincoln Carrier Strike Group. 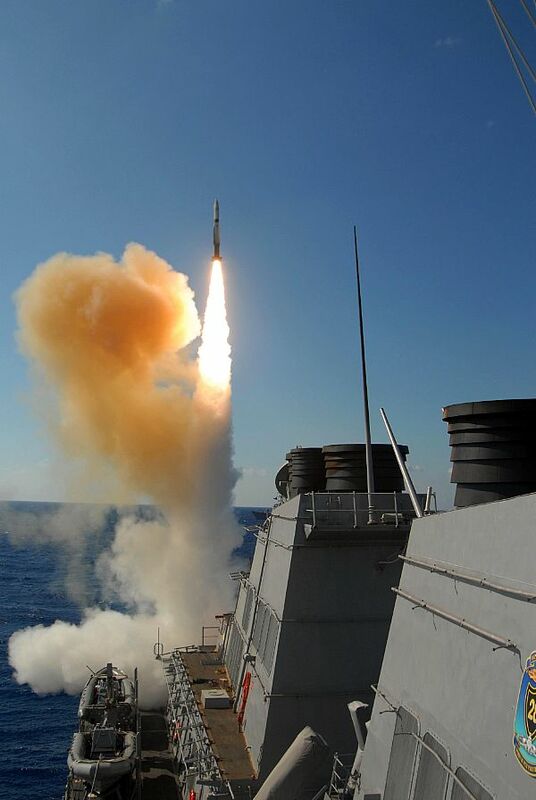 The strike group is deploying in support of the global war on terrorism in the U.S. 5th Fleet area of responsibility. 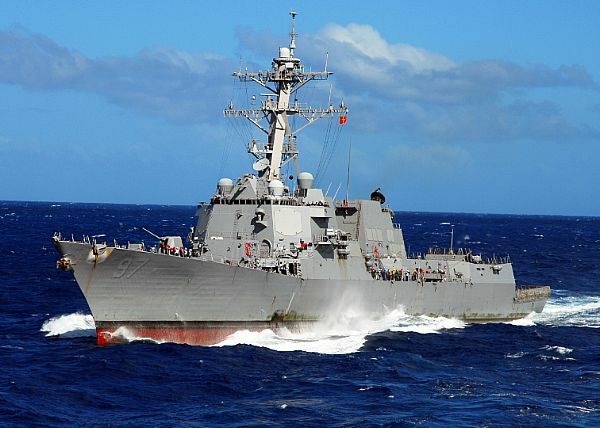 ATLANTIC OCEAN (March 28, 2008) The guided-missile destroyer USS Sullivans (DDG 68 ) steams off the coast of Florida. Sullivans is conducting group sail operations. 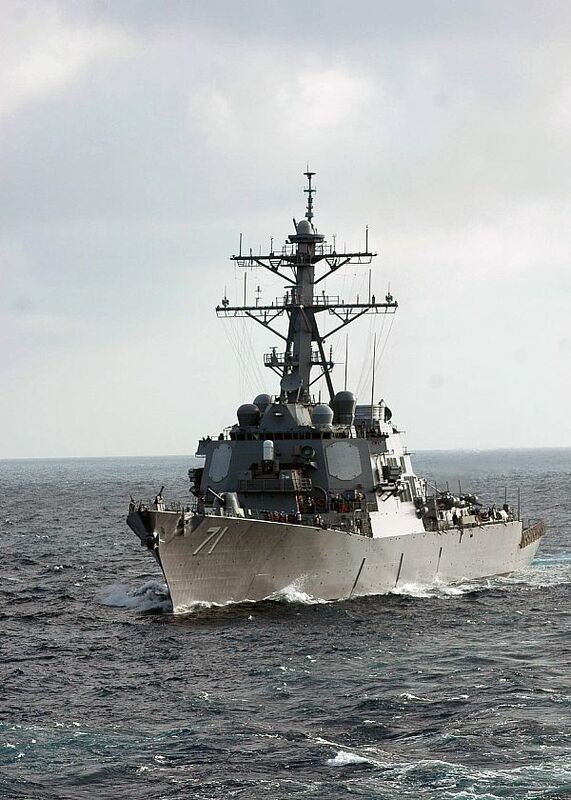 ATLANTIC OCEAN (March 28, 2008) The guided-missile destroyer USS Nitze (DDG 94) steams off the coast of Florida. Nitze is conducting group sail operations. 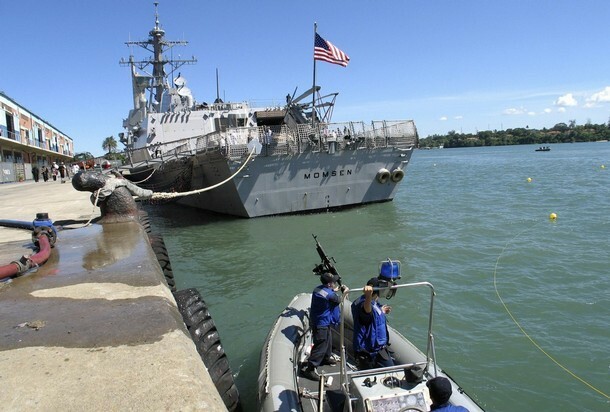 U.S. Navy Destroyer USS Momsen (DDG92) docks in the Kenyan coastal town of Mombasa, May 7, 2008. 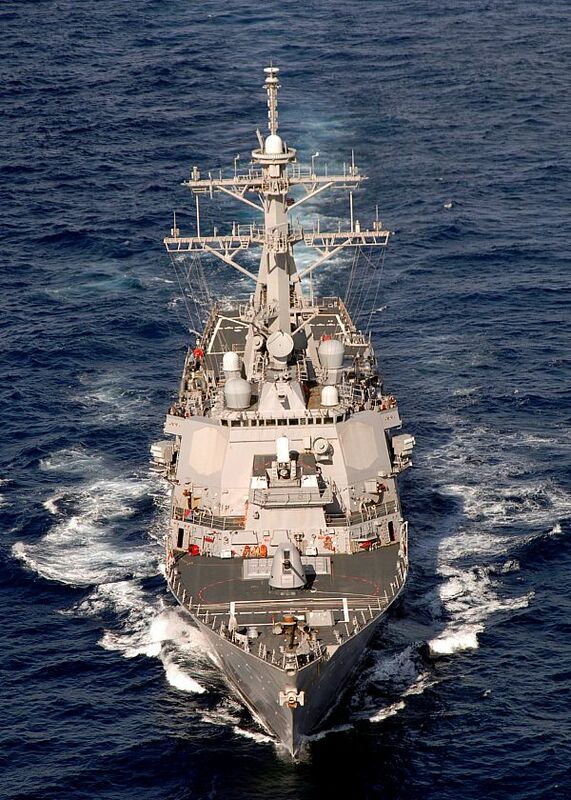 The ship is patrolling the Indian Ocean to prevent piracy, terrorist attacks and drug trafficking. ATLANTIC OCEAN (May 14, 2008) The guided-missile destroyer USS Ramage (DDG 61) maneuvers along side the multi-purpose amphibious assault ship USS Iwo Jima (LHD 7) for a replenishment at sea. Iwo Jima and Ramage are participating in the Iwo Jima Expeditionary Strike Group integration training. 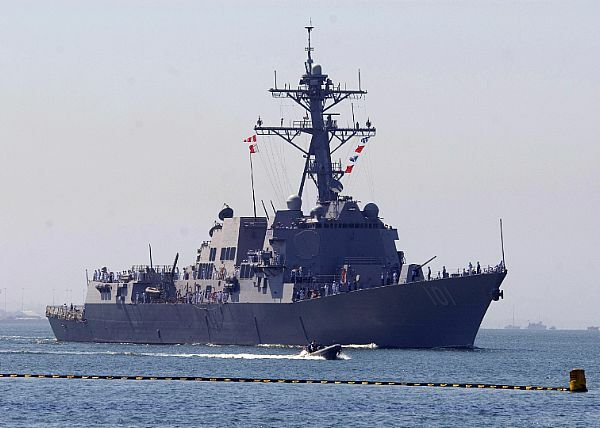 SAN DIEGO (May 19, 2008) The guided-missile destroyer USS Gridley (DDG 101) gets underway to join the Ronald Reagan Carrier Strike group for her maiden voyage as part of its scheduled deployment supporting the war on terrorism. 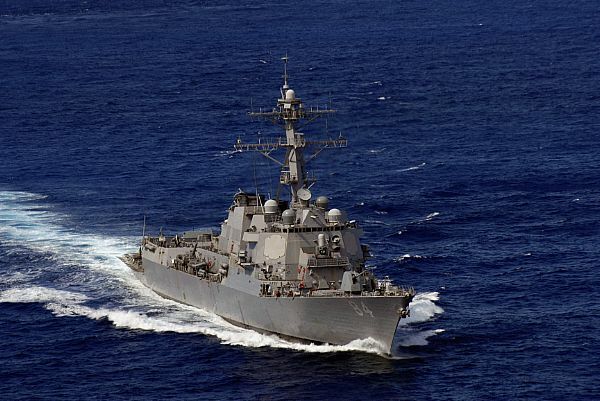 More than 7,000 Sailors comprise the USS Ronald Carrier Strike Group. 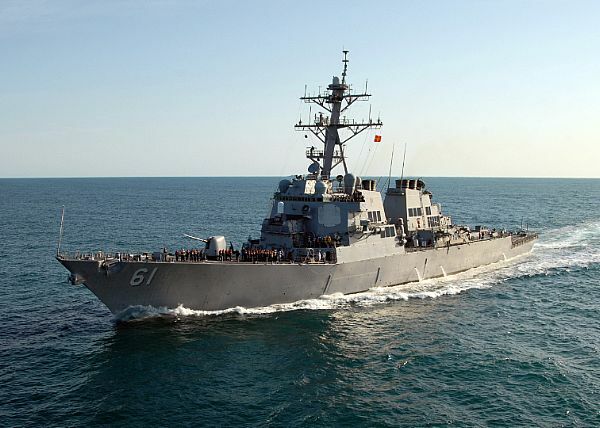 PACIFIC OCEAN (May 20, 2008) The guided-missile destroyer USS Higgins (DDG 76) steams into position for a replenishment at sea with the Military Sealift Command combat stores ship USNS Niagara Falls (T-AFS 3). 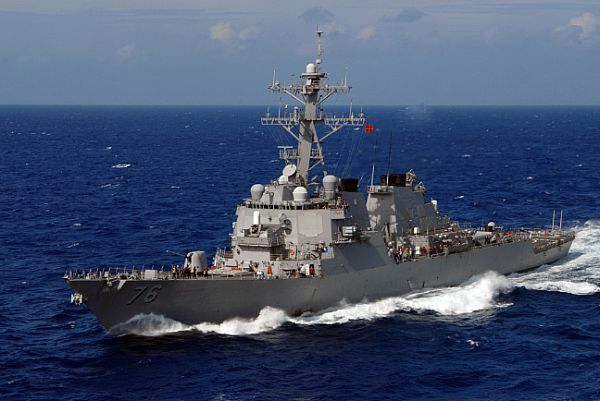 Higgins is deployed with the Nimitz Carrier Strike Group, operating as part of the U.S. 7th Fleet in the western Pacific and Indian oceans. 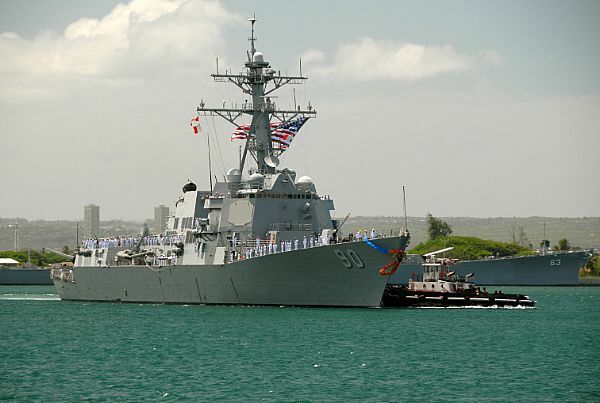 PEARL HARBOR, Hawaii (June 7, 2008) The Arleigh Burke-class guided-missile destroyer USS Chafee (DDG 90) passes the Battleship Missouri Memorial as she makes her way pier side to Naval Station Pearl Harbor after a four-month deployment. PACIFIC OCEAN (June 27, 2008) The guided-missile destroyer USS Forrest Sherman (DDG 98 ) fires a Standard Missle (SM 2) at a drone during the Pacific phase of UNITAS 49-08. UNITAS is an annual exercise designed to increase cooperation and interoperability between the U.S. and South American navies. INDIAN OCEAN (Sept. 29, 2008) The guided missile destroyer USS Halsey (DDG 97) steams in the Indian Ocean while conducting maritime security operations. YOKOSUKA, Japan (Oct. 2, 2008) A Japanese harbor tug assists the Arleigh Burke-class guided-missile destroyer USS McCampbell (DDG 85) as the ship departs Commander, Fleet Activities Yokosuka. 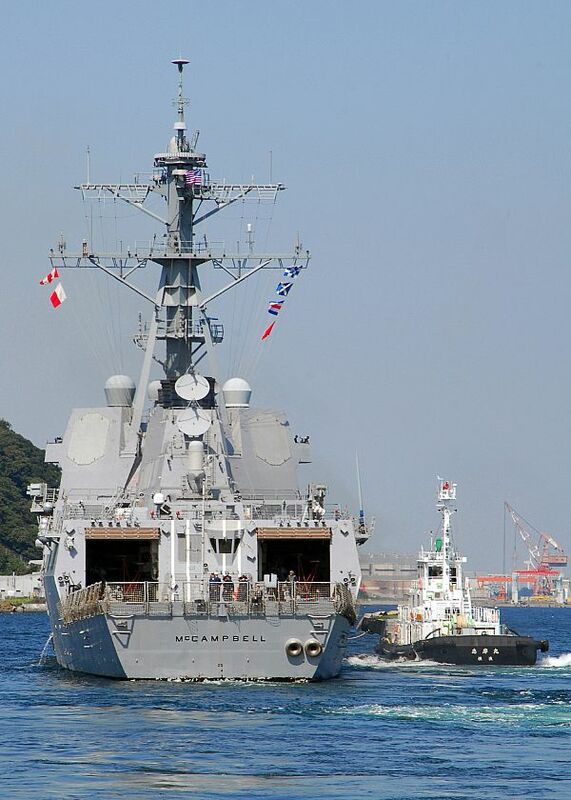 McCampbell, a part of Destroyer Squadron (DESRON) 15, is permanently forward deployed to Yokosuka, Japan. 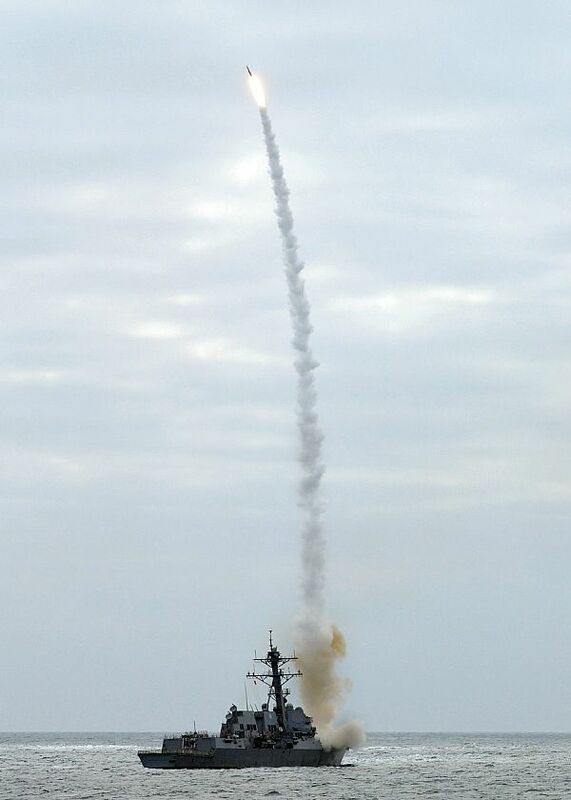 PACIFIC OCEAN (Oct. 6, 2008) The Arleigh Burke-class guided missile destroyer USS Stout (DDG 55) launches a SM-2 Standard Missile from the aft missile bay aboard at the ex-USS O'Bannon (DD 987) during a sinking exercise. The exercise demonstrated the ability for multiple strike group units to operate together effectively with precision in an operationally realistic exercise environment.